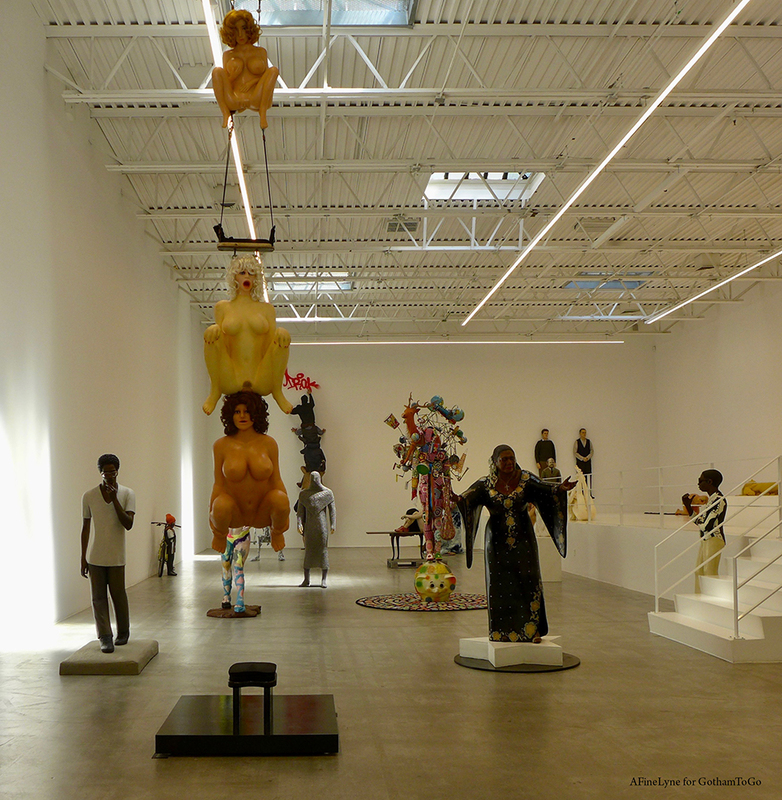 Read about related programming at Jeffrey Deitch’s 76 Grand Street Gallery. 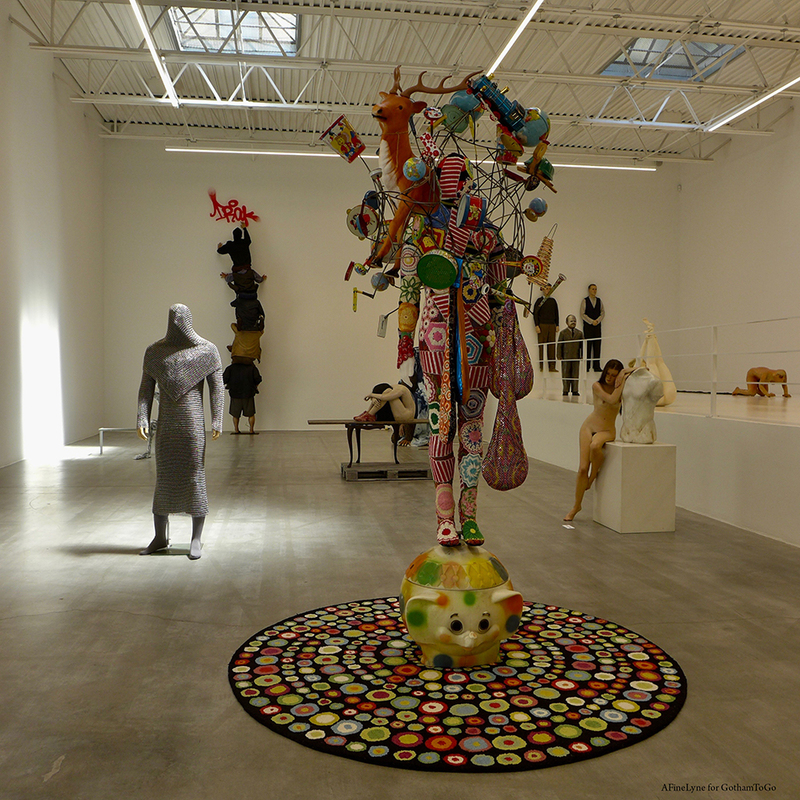 (Center) Nick Cave, Soundsuite, 2015; Back-Left: Forcefield, Lord of the Rings Modulator Shroud, 2002-2015, Stainless steel ID rings; Back right: John DeAndrea, A Classical Allusion, 1987, Oil on polyvinyl & marble. 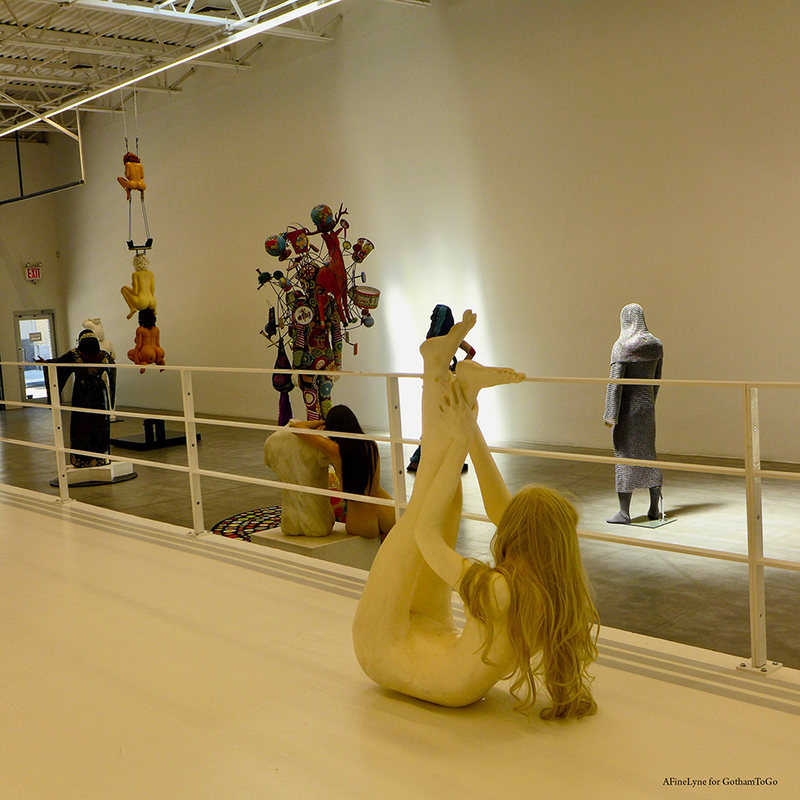 Some of the sculptures are made from body casts, others are constructed from mannequins and found objects, and a few use conventional sculptural materials like bronze. 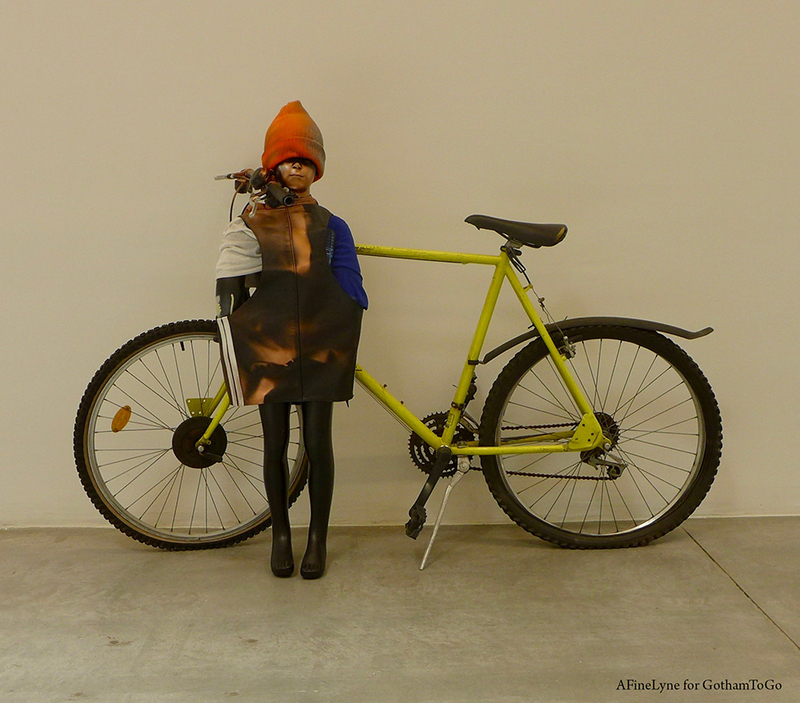 All are life-size, with great attention paid to detail. First floor, Deitch Projects. 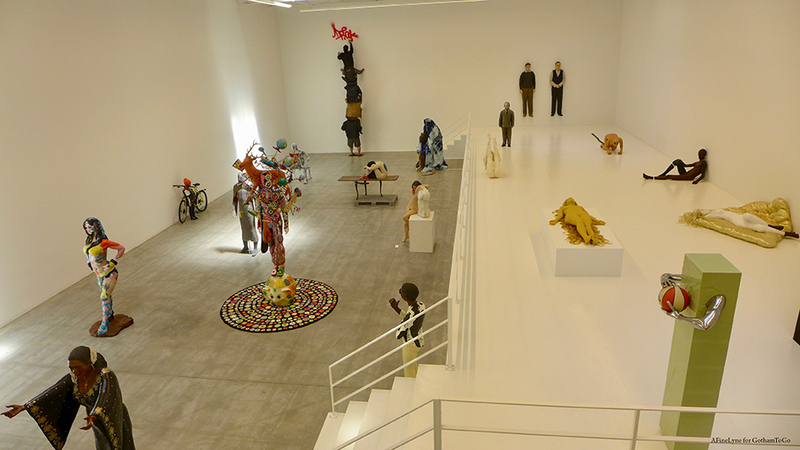 The exhibition extents to the mezzanine and upper floor. 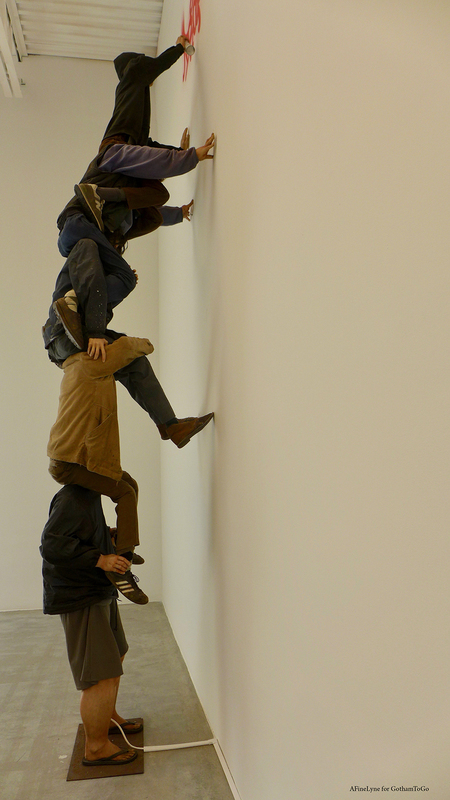 On the wall behind ‘Sneakers 2‘ is the installation, Untitled (5 Tagger Installation), 2005, a mixed media piece by artist Barry McGee, who magically has the arm of the top figure moving left to right, as if actually spray-painting. 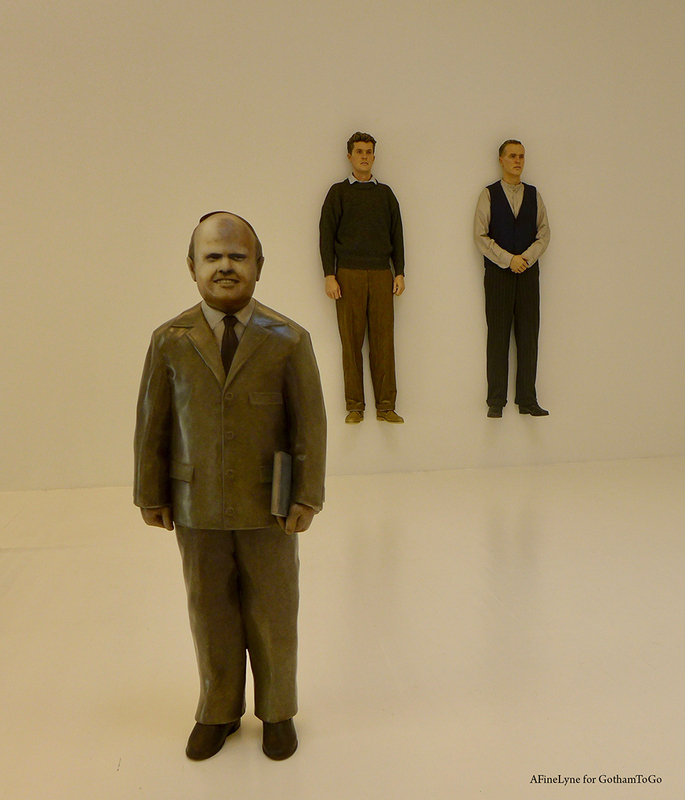 Artist Martin Honert, “English Teacher,” 2010, Polyurethane, sand, glass, and oil paint ~ On the wall, artist Stefan Hablützel, “1962-1929,” 1997. Polyester and Oil. 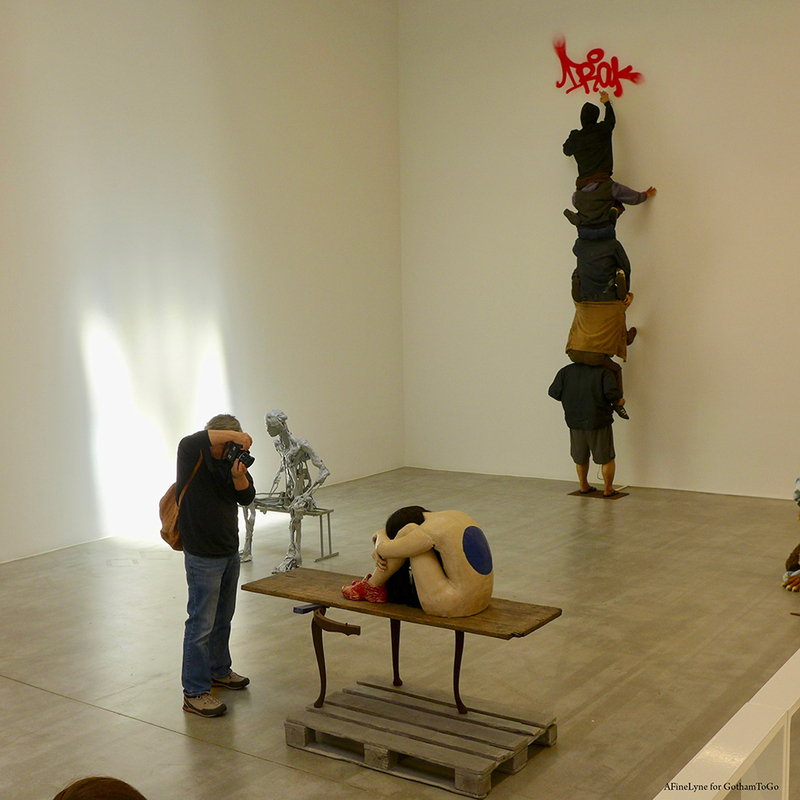 Artist Barry McGee, Untitled (5 Tagger Installation), 2005, Mixed media. The exhibition, People, will be on view to June 30, 2018 at Deitch Projects, 18 Wooster Street in Soho.